In this article I will explain the different types of binding fiber , advantages and disadvantages of each. Behind the barbarian term FTTx , we define different way of connecting the subscriber via the optical fiber . The fiber is used along the entire local loop or in part. 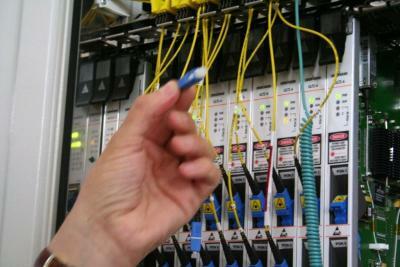 Often when talking user connection to the optical fiber, it is to approach via the network of optical fibers closest to the client and then connect it via a pair of copper (telcos) or a coaxial cable (cable operator). FTTH Fiber To The Home: the fiber reaches the subscriber. In this case, the local loop is entirely fibered end to end. P2P or Point to Point defines an architecture or subscriber has a dedicated fiber between the NRO (Node Connection Optics) and its housing or office. Unlike architecture PON (Passive Optical Network) where we will be multiplexed , ie getting more subscribers by the same fiber and use a splits r liability to connect them. The bandwidth is pooled , but has the advantage of a lower cost of deployment. The economic advantage of GPON architecture is undeniable. One gathers up to 64 subscribers fibers in one. The diameter of the furnace is lower and the cost related to lower civil engineering. The technical advantage goes to the P2P architecture. The subscriber can use restriction off, all of the available bandwidth, while in GPON, the bandwidth is pooled. The maximum download speed of GPON is 2,5Gb / s. If the 100Mb / s you wish to provide each subscriber, you can connect only 25 subscribers. But in reality, it is assumed that 64 subscribers do not download 100Mb / s simultaneously. Overbooking? Most large public networks are based on PON architecture for economic reasons. Only business networks, out exception, can access the P2P network, but it will depend on the operator, but also the offer subscribed. An Orange customer will not have the same solution whether it agrees with a fiber pro subscription or subscription via the fiber optic MPLS network. The price is not the same either! Attention also offers for individuals announcing speeds of several hundred Mb / s. The flow rate of the fiber is shared by multiple customers, operators are overbooked and are not binding on this flow. It remains on the best effort!